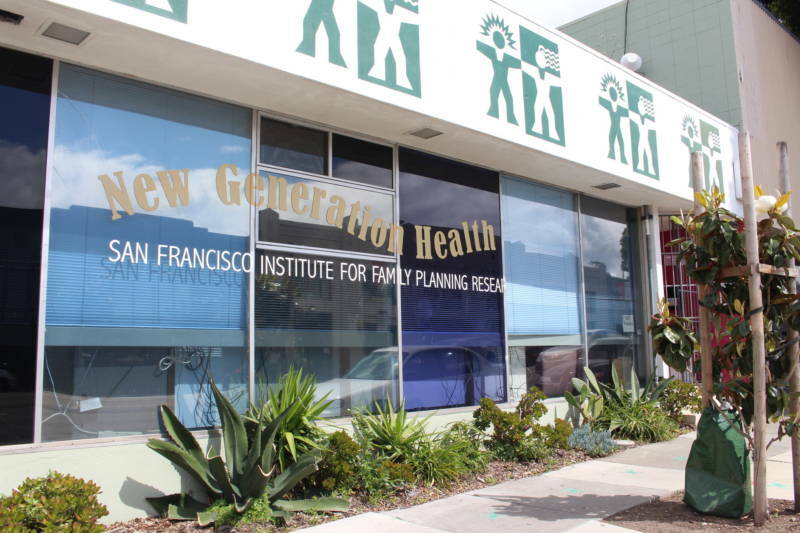 A reproductive health clinic serving San Francisco's Mission District that is threatened with closure will stay open another year, UCSF officials say. The New Generation Health Center serves primarily low-income teens and young adults, and the announcement came after patients, neighbors and health providers expressed concern and anger over UCSF's plans to shut it down this summer. For weeks, university officials had insisted that New Generation must close because of an annual budget deficit of more than $400,000. They said the clinic's financial troubles stemmed from a decline in both patients and grant revenue over the last five years. New Generation staff had already began reaching out to more than 2,200 patients to connect them with nearby clinics that offer similar services. But Tuesday's announcement marked a dramatic change. UCSF Chancellor Sam Hawgood now says the university will cover the clinic's budget deficit for a year with funds from his office, the School of Medicine and the Division of Obstetrics, Gynecology and Reproductive Health -- which oversees New Generation. “This clinic has served a critical need in our community, especially for teens from low- and moderate-income families," Hawgood said, in a press release, "and we are committed to ensuring that these young people continue to be served." He said that UCSF will partner with San Francisco's department of public health and the broader community "to best secure these services" for young people. School nurses and other health providers had feared that at-risk Latino and African-American teens who trust New Generation's confidential services would face an increase in unplanned pregnancies and sexually transmitted diseases. At a meeting with UCSF officials last month, patients and neighbors vowed to raise funds on their own and pressure UCSF to save the clinic. More than 5,000 people signed an online petition to halt UCSF's closure plans. Kisai Henriquez grew up in the Mission and used New Generation's services as a teen. Now, as a social worker, she refers young people to the clinic. She said UCSF's recent change in plans gave her hope, but that more work needs to be done. "We just have a little bit more time to rally," she said, "and get more youth and community members involved to figure out how do we keep this space open longer than just another year." UCSF stressed that the current funds are only temporary and that the university and the city's health department will involve community members to determine next steps for the clinic’s services. New Generation has provided free reproductive health services to young people for two decades.